Lucius Annaeus Seneca was musing on the accelerated rate of decline and fall of empires a couple of thousand years ago. The chemist and scholar of the post-growth world Ugo Bardi has borrowed the philosopher’s name for his idea of a Seneca Cliff–the precipice over which our complex society will likely (according to him) tip and fall. While such ideas gained considerable traction a few years ago (fanned by rocketing fossil fuel prices and the impact of the Great Recession), they are now deeply out of fashion. Doesn’t Bardi know that we live in an age of abundance, or so the shale oil and gas story goes. Full blog post by Bardi on this theme is here. 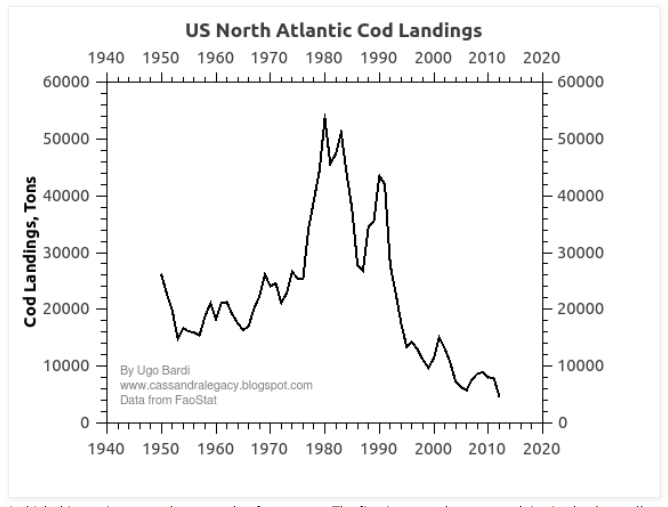 But does the argument “so goes cod, so will go shale” hold true? This is certainly the view of the geoscientist J. David Hughes, who maintains a web site called “shalebubble.org“. On it, you will find a number of Hughes’ reports published under the imprint of the Post Carbon Institute, the latest going under the title of “Drilling Deeper‘. The full report is 300 pages long, but Hughes concludes that the US Energy Information Administration has built a production forecast on the back of a series of three false premises. Further, based on these, the US economy has taken as truisms a series of false promises (click for larger image). Should Hughes’ analysis be correct, then Seneca’s Cliff may beckon. Within a decade we will know one way or another. Never forget: Cassandra was proved right in the end. I regularly report on the Energy Information Administration‘s monthly US oil production statistics, which show no slowdown in output as yet (see here for latest numbers). Bloomberg, however, has a series of multimedia offerings giving more colour as to what is going on. First, a nice chart juxtaposing production and rig count numbers (source: here). 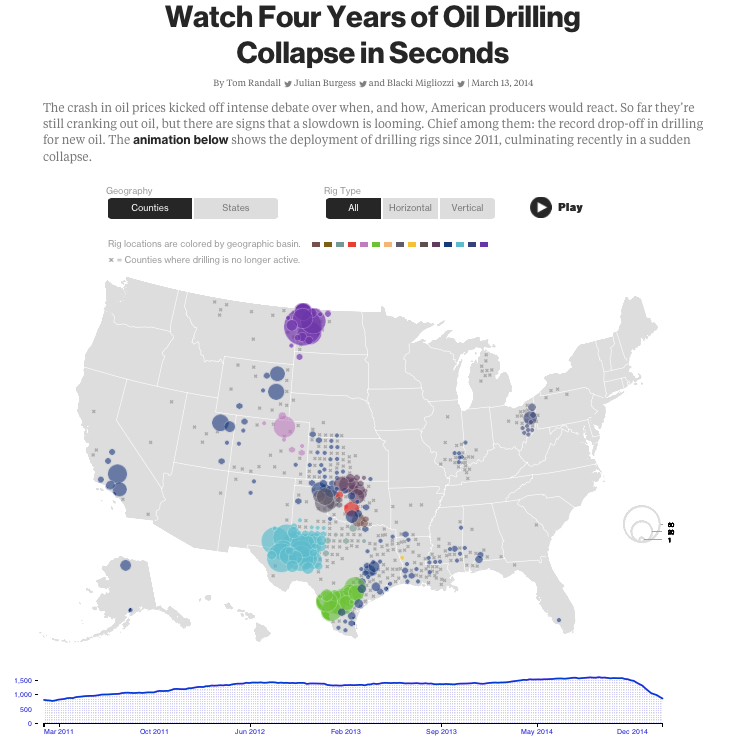 And for a great animated graphic showing rig count through time and space, this offering (again from Bloomberg) is superb. Below is my screen shot, but to get the full effect click this link here. Finally, an animation explaining why the crashing rig count has yet to stop production rising. 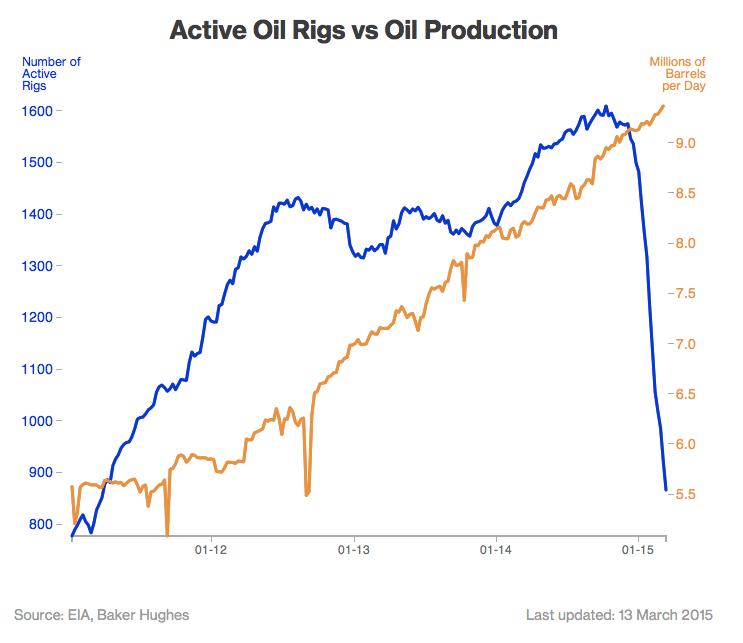 In Bloomberg‘s view, the divergence between rig count and production has many months to run. National Geographic recently had an article titled “How Long Can the US Oil Boom Last?” which emphasises the longer view. 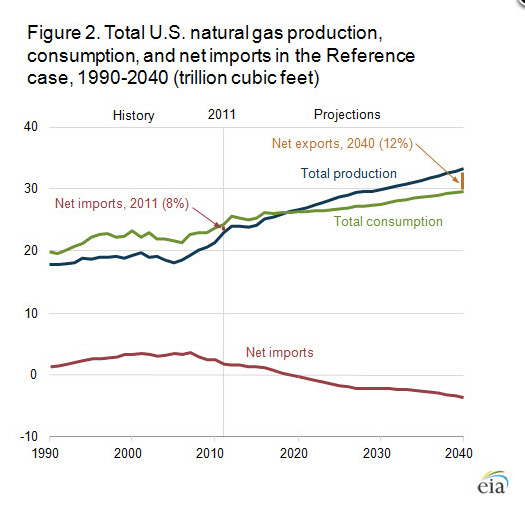 They argue that the US fracking boom is a multi-year phenomenon not a multi-decade one. But in the long term, the U.S. oil boom faces an even more serious constraint: Though daily production now rivals Saudi Arabia’s, it’s coming from underground reserves that are a small fraction of the ones in the Middle East. Both the EIA and the International Energy Agency see US oil production peaking out by the end of the decade regardless of short-term oil price fluctuations. Nonetheless, both organisations have underestimated the upswing in tight oil production to date. 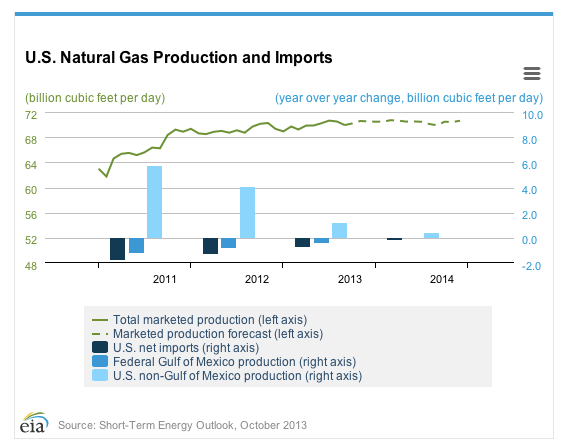 Overall, it is very difficult to gauge where US production will be in five years time. This is a bigger story than the current spectacular rig count crash, and one I intend to return to in future posts. 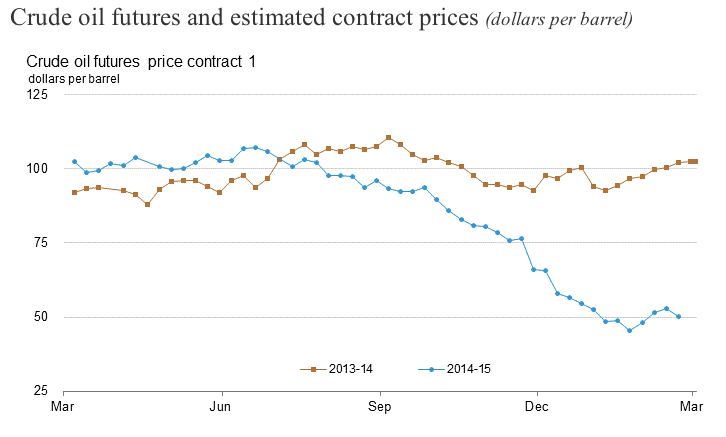 Yesterday, I noted that US natural gas production has yet to reflect the recent prices declines. Today, I am reporting basically the same story for crude oil. The US government agency the Energy Information Administration (EIA) reports monthly crude oil production with a 2 month lag; December production was published on 27 February. 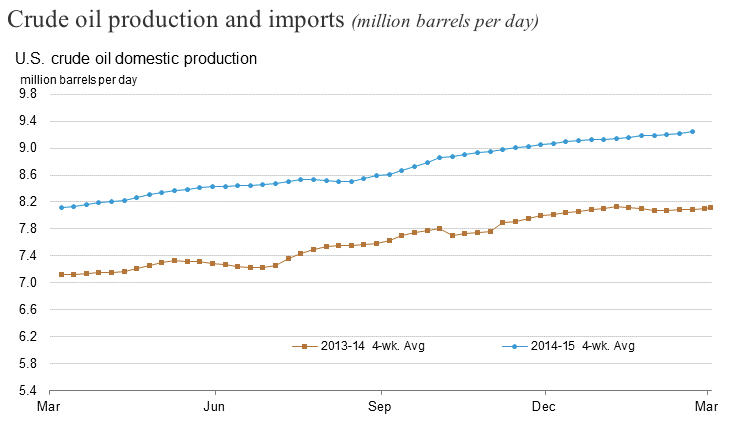 December saw oil production averaging 9.2 million barrels per day, a rise of 17.4% year on year. The two following charts are taken from the EIA’s weekly oil report here (click for larger images). The chart of futures prices below shows the 50% decline between the summer of 2014 and the beginning of 2015. As discussed in my post at the beginning of February, it will take another six to 12 months before futures hedges roll off and rapid shale field depletion rates mean that additional capital investment is required in order to sustain production levels. Such investment will only be forthcoming if the new oil price environment is countered by further technology driven cost savings. My sense is that new investment projects won’t hit their required hurdle rates and so won’t go through. If so, production will first plateau and then fall. As always, we have to let the data speak on this one. Growth continues to remain in the double digits year-on-year. As can be seen from the chart below (click for larger image, link to original data here), the fracking of tight oil formations in the U.S. has made a major impact on U.S. crude production over the last few years. Given crude oil is a globally traded commodity, U.S. production numbers need to be placed in the context of world supply and demand. The International Energy Agency (IEA), in its latest Oil Market Report (OMR) dated 11 April 2014, recorded global ‘all liquids’ (oil and condensate) production of 91.8 million bpd for March 2014. Year-on-year supply growth is averaging around 1 million bpd, or a little over 1%. Mirroring supply, benchmark crude prices continue to bump along a plateau. Increased U.S. production is being offset by a reduction in OPEC output, particularly with respect to Libya and Iraq. 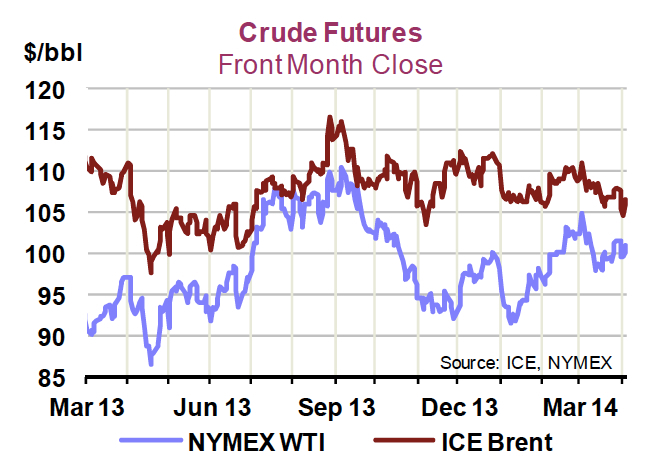 As a result, both WTI and Brent have remained above $100 per barrel. Full quarterly IEA world supply-and-demand figures, including 2013 provisional supply and demand numbers, together with 2014 forecasts, can be found here. 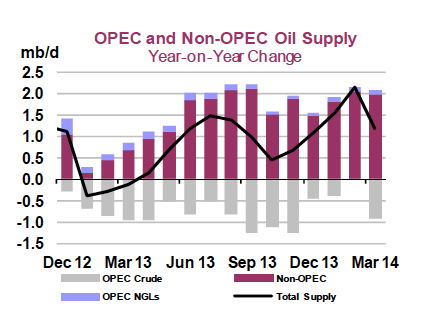 Interestingly, 2013 supply is now given as averaging 91.6 million bpd, up only 0.6 million bpd from 2012. 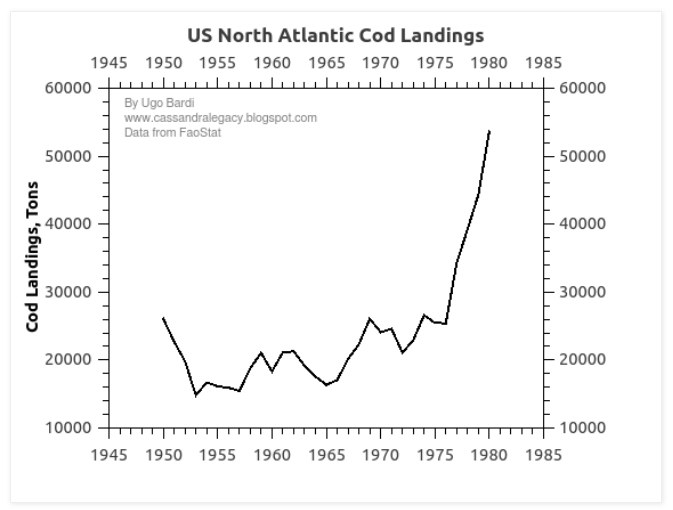 Successive articles in the media have pronounced peak oil dead due to the fracking of shale. This story is everywhere—except in the actual numbers, where almost no increase in supply can be seen. Lewis Carroll’s “Through the Looking Glass” captures the challenges of shale gas production well: technology must advance ever faster purely in order for production to stand still. Why? Because you are for ever depleting relatively easy-to-exploit resources and replacing them with ever more difficult-to-exploit resources. Yet the US government’s Energy Information Agency says we will run faster. 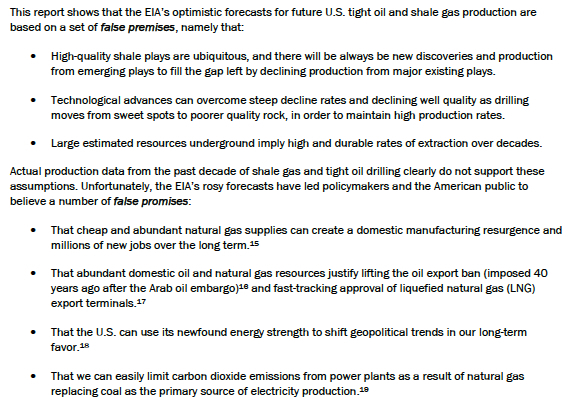 Here is their long-term forecast from the Annual Energy Outlook 2013.